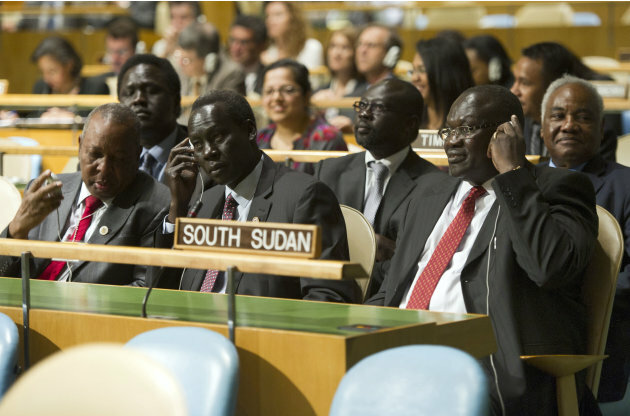 UNITED NATIONS (Reuters) – The General Assembly admitted South Sudan on Thursday as the 193rd member of the United Nations, sealing the new African country’s independence after decades of conflict. The assembly vote, by acclamation, followed South Sudan’s independence proclamation in the capital Juba on Saturday, after its people voted in a January referendum to break away fromSudan – a decision accepted by Khartoum. Applause broke out in the assembly as South Sudan became the first country to join the world body since Montenegro in 2006. The Security Council, which rules on all U.N. membership applications, had recommended the admission on Wednesday. 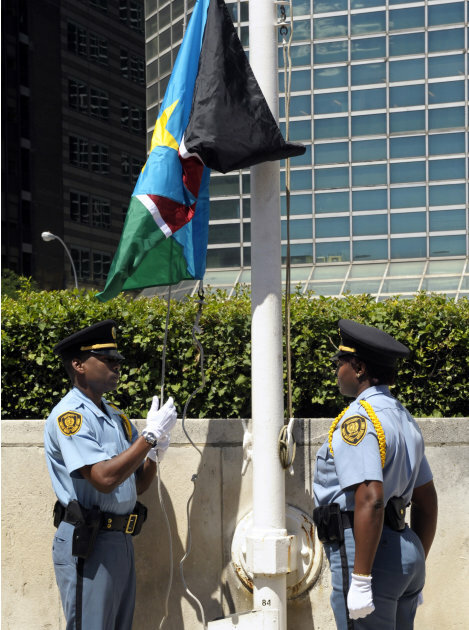 The South Sudan flag — black, red and green stripes, overlaid with a blue triangle and gold star — was later hoisted outside U.N. headquarters in New York. The new country will be one of the world’s poorest and inherit a string of disputes with Khartoum. But representatives of the two countries pledged on Thursday to put the past behind them and resolve outstanding issues peacefully. South Sudan’s vote for independence was held under the terms of a 2005 peace deal ending a 20-year war between north and south Sudan in which more than 2 million people died. Sudan — until now Africa’s largest country — became independent in 1956 but was long plagued by conflict between its mainly Muslim Arabic-speaking north and its black African south, where many are Christian or follow traditional beliefs. Continuing a show of graciousness by Khartoum over South Sudan’s secession, Sudan’s Ambassador Daffa-Alla Elhag Ali Osman said the people of both countries would continue to be all Sudanese and members of one family. South Sudanese Vice President Riek Machar paid tribute to Sudanese President Omar Hassan al-Bashir for signing the 2005 peace deal and for “courageously accepting the outcome” of the January referendum. Unresolved disputes between Juba and Khartoum include the exact borders, citizenship, and the sharing of oil resources. Apart from the fighting in Southern Kordostan, it is still undecided which country will own the border region of Abyei, where a 4,200-strong Ethiopian U.N. peacekeeping force is shortly to deploy. In Washington, the tone was less upbeat than at the United Nations with a congressional committee discussing violence in the state of Southern Kordofan, which is part of Sudan. The United Nations estimates 73,000 people have fled fighting there between the northern army and pro-southern troops. The U.S. special envoy to Sudan, Princeton Lyman, told the Senate Foreign Relations Committee that the United States was pressing for a 72-hour “pause” in the hostilities in Southern Kordofan in order for humanitarian help such as food and medicine to get through. The assembly vote, by acclamation, followed South Sudan’s independence proclamation in the capital Juba on Saturday, after its people voted in a January referendum to break away fromSudan — a decision accepted by Khartoum. Just five days after officially declaring independence, the new Republic of South Sudan has been welcomed as the 193rd member of the United Nations. The small African country received membership through a unanimous vote of the U.N. General Assembly on July 14th, following a recommendation from the U.N. Security Council the day before, which was also unanimous. Membership will allow the new state to participate fully in the U.N. and all of its associated organizations, and gives it the legitimacy required for a guaranteed place on world maps and lists of the world’s countries. 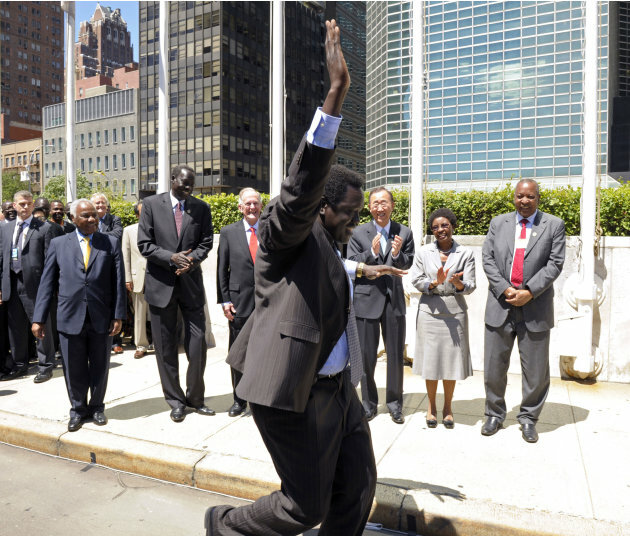 In addition to U.N. membership, South Sudan has continued to receive recognition from individual countries. Approximately 88 U.N. members and six other sovereign states have now made official statements recognizing the new country. Although that still leaves 104 U.N. member countries which have not yet formally recognized South Sudan, the unanimous vote of the U.N. General Assembly suggests that all members do intend to acknowledge its legitimacy, whether by official decree or not. No state has indicated any intention to oppose the new state’s independence. Countries which have officially stated their recognition of South Sudan’s sovereignty (green). South Sudan in blue. Modified from this Wikimedia map (public domain). Northern and Southern Sudan are historically distinct regions, both culturally and geographically. The arid north has long been dominated by nomadic Arab herders, with Islam as the primary religion. Meanwhile, the wetter south is populated by various agricultural peoples practicing local religions or Christianity. The north and south were ruled as separate colonies by the British during the first half of the 20th Century, but were later unified, with power weighted toward the north. By the time Sudan gained independence in 1956, a civil war was raging over the south’s demands for greater representation and autonomy. A peace agreement was finally reached in 1972, granting Southern Sudan many of its demands; but the country descended again into war in 1983, after the central government in Khartoum withdrew the concessions. The devastating second civil war finally came to an end with the 2005 Comprehensive Peace Agreement, signed by the Government of Sudan in the north and the Sudan People’s Liberation Movement in the south. 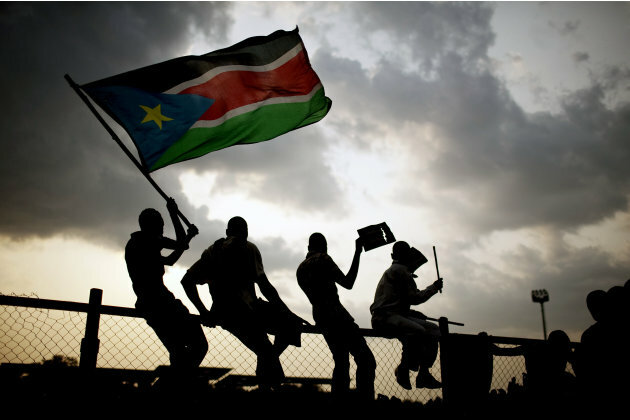 The agreement specified that the people of Southern Sudan would have the chance to vote on whether to become independent. After six years of uneasy coexistence between the two sides, the referendum was finally held in January 2011. Ninety-nine percent of voters chose independence, and the date for the declaration was set for July 9. Despite diplomatic confrontations and armed clashes, the separation proceeded, with the Government of Sudan in the north becoming the first country to recognize the south’s independence. The north retained the name “Sudan”. However, the status of three border regions – the Abyei Area, South Kordofan state, and Blue Nile state – has not yet been decided. Abyei is claimed both by the south and by the north, which is in the process of turning it over to U.N. peacekeeping forces. The 2005 agreement promised Abyei’s people the chance to vote on which side to join, but the referendum hasn’t come together. South Kordofan and Blue Nile are controlled by the north, but were promised vaguely defined “popular consultations”, which also have not come to pass, leading to continued violence in South Kordofan. 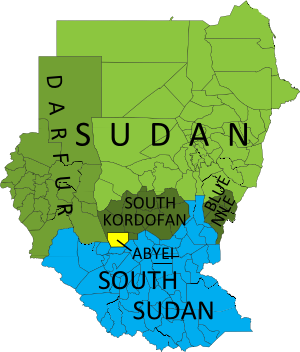 The region of Darfur in western Sudan was not at issue in the north-south civil war, and remains part of the north. South Sudan’s capital and states. Modified from this map (public domain). South Sudan is a land-locked country in East Africa, bordered by six other countries, and divided into ten states. 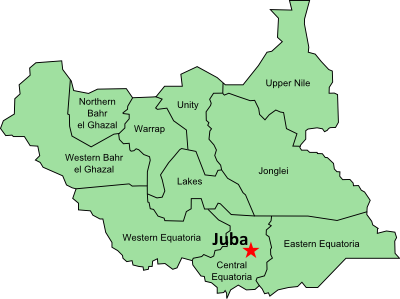 It is a constitutional republic with its capital in the city of Juba, and is currently led by President Salva Kiir, a former southern rebel leader. Bisected by the White Nile river, the lushly vegetated country is home to some of the largest remaining populations of endangered African wildlife. South Sudan’s roughly 8 million people come from a diverse range of cultural groups, the largest of which is the Dinka people. While English is the official language, Dinka and many other languages are spoken locally, and Arabic (the official language of Sudan) is also widely spoken as a second language. Although the country has rich oil resources, its people currently suffer with one of the lowest standards of living in the world. Technically, South Sudan is still a “partially recognized” state, as it has not yet been admitted to the United Nations and is still awaiting diplomatic recognition from many countries. However, it is expected to be admitted into the U.N. within days, and its recognition is growing rapidly: it has already been recognized by about 60 U.N. member countries and four other sovereign states. 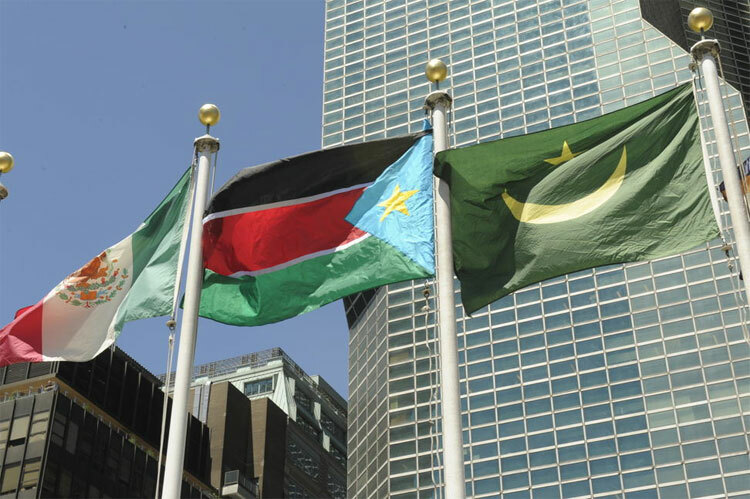 In addition to the U.N., South Sudan has applied for membership to the African Union, the Commonwealth of Nations, and the East African Community. It has been invited into the Arab League, but is not likely to join, as most of its people do not identify as Arabs (unlike Sudan in the north). Political Geography Now will continue to publish updates as South Sudan’s international status evolves. 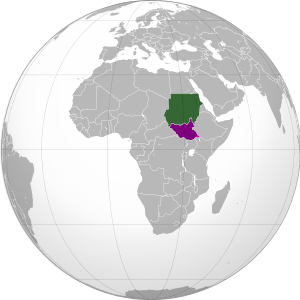 Countries which have recognized South Sudan’s sovereignty (green). South Sudan in blue. Modified from this Wikimedia map (public domain). Tens of thousands of South Sudanese have watched the raising of the new country’s flag at an independence ceremony in the capital, Juba. Salva Kiir signed the constitution and took his oath of office in front of the jubilant crowds, becoming the president of the world’s newest nation. Sudan’s President Omar al-Bashir and UN chief Ban Ki-moon were among dignitaries at the historic events. Sudan earlier became the first state to officially recognise its new neighbour.The world’s newest nation was born at midnight local South Sudanese time (2100 GMT), the climax of a process made possible by the 2005 peace deal that ended a long civil war.The south’s independence follows decades of conflict with the north in which some 1.5 million people died.South Sudan became the 193rd country recognised by the UN and the 54th UN member state in Africa. Saturday’s independence ceremony is being held at the mausoleum of the late rebel leader John Garang, who died just months after signing the peace deal that ended Africa’s longest-running conflict. The BBC’s Will Ross in Juba says people have flocked to the event on a baking hot day – some of them climbing trees to get a view. There is a heartfelt display of excitement mixed with relief that after many years of feeling oppressed the tie with the north has finally been cut, he says. “It shall be kept be kept in the archives of South Sudan in recognition of the common history that we have lived together,” he told the crowd. Our reporter says people in the crowds have been saying it is a moment to celebrate but they are also talking about the many lost relatives who died during the war. Earlier, Mr Bashir arrived at Juba airport where he was greeted by Mr Kiir. Other dignitaries attending the celebrations include former US Secretary of State Colin Powell and the US permanent representative to the UN, Susan Rice. President Bashir, who agreed the 2005 peace deal with the Sudan People’s Liberation Army (SPLA), stressed his country’s “readiness to work with our southern brothers and help them set up their state so that, God willing, this state will be stable and develop”. “The co-operation between us will be excellent, particularly when it comes to marking and preserving the border so there is a movement of citizens and goods via this border,” he told journalists in Khartoum. Fears of fresh violence resurfaced after recent fighting in two border areas, Abyei and South Kordofan, where some 170,000 people have been forced from their homes. But separate deals – and the withdrawal of rival forces from the border – have calmed tensions. The UN Security Council has passed a resolution approving a 7,000-strong peacekeeping force for South Sudan – but this is basically a rebranding of the force that was already in Sudan, mostly in the south. Our correspondent says keeping both the north and the south stable long after the celebratory parties have ended will be a challenge. The two sides must still decide on issues such as drawing up the new border and how to divide Sudan’s debts and oil wealth. The purpose of this letter is to address the recent misuse of the name of the South Sudanese Association in Calgary in an unsanctioned March 24, 2014 rally in downtown Calgary. This rally was against the UNMISS operations in South Sudan. The views expressed in this protest do not reflect the views of the South Sudanese Association in Calgary, but rather the misuse of the name of our association by individuals of the Dinka nationality supporting the ongoing genocide of Nuer civilians in South Sudan. We the South Sudanese Association in Calgary wish to express our deepest gratitude to the UNMISS and UNCHR for their operations in our native South Sudan. UN food aid, education, and resettlement programs have helped save and improve the lives of countless thousands. Since the December 15, 2013 wave of ethnic cleansing began, UNMISS compounds in the capitals of Unity State, Upper Nile, and Jongeli: Bentiu, Malakal, Juba and Bor, have served as the sole refuge for civilians fleeing government sponsored door to door raids on the Nuer ethnicity. To date an estimated 6,500 men, women and children have lost their lives. Outside UMISS walls Nuer civilians have been subject to firing squads. Many of these individuals were distinguished professionals: Civil Servants, Jurists, and Doctors. Among them, University of Calgary graduate Doctors without Borders MD, Dr. Thomas Lul, killed February 13, 2014 in a government sponsored raid. Sadly, his death has been incorrectly reported as a casualty of crossfire by South Sudan state sponsored media. As of January 31st an estimated 84,000 civilians have taken shelter in UNMISS compounds across the country. That number is set to grow as fighting continues. What is more, as a result of the prolonged fighting, US Aide estimates 695,000 people have been displaced and a famine for the 2014 year now looms over the affected Nuer areas of Unity and Uppernile State as farmers cannot plant. In the ongoing genocide, the presence of the UNMISS is vital to the preservation of human life in South Sudan. However, Canada has been activity involved with the United Nations since its establishment in 1945. Since then Canadian peacekeepers have contributed in almost every particular peacekeeping task. However, the role of Canadian diplomacy was to bring peace and solidity between combatant nations. In case of south Sudan now Canada’s role in the United Nations is slowly while their involved into south Sudan settlement is highly needed. We sincerely thank you for your organization’s presence in South Sudan and encourage your organization to strengthen current operations to the goal of preserving and improving the lives of the South Sudanese people. Yearly there are one.five million cases of these two diseases noted in the US each year. content. Yes males are abused as nicely, think it or not.